As a kid, all you want to do is buy candy. The irony is that once you become an adult and you finally have money, you don’t do it. Some crazy diet/dental-health propaganda gets in the way of you treating yourself and you end up just leaving the 7-11 with a newspaper and a coffee. Tragic. This is why offering candy to a friend is one of the most beautiful and generous things one can do. Pez dispensers are designed with this very premise in mind. Imagine the delight on your friend’s face when you pull out a package of Gobstoppers or Nerds or Runts. Coke Bottles? Fuzzy Peaches? Sour Keys? Who can resist? There is a kid trapped inside us all who’s pissed that we’re not spending 75% of our income on candy like we used to. 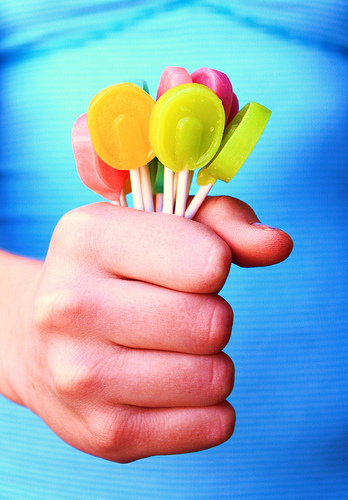 By sharing your candy, you’re helping to set someone’s inner kid free. This entry was posted on October 9, 2009 at 3:50 pm and is filed under stuff. You can follow any responses to this entry through the RSS 2.0 feed. You can leave a response, or trackback from your own site.